Rumors that Apple plans to develop and market a self-driving vehicle may have gone cold, but CEO Tim Cook has publicly acknowledged that the company is working on a ‘large project’ around autonomous systems. The latest detail in the story comes via Jalopnik which reports that Apple may have leased Chrysler’s old proving grounds which could be used for testing autonomous cars. When we say that the lack of awareness is surprisingly still the biggest problem for electric vehicle adoption, this is a good example. The electric plug-in version of Chrysler’s new and well-received Pacifica van has been delayed for a while even though hundreds of customers had already placed orders. The U.S. Environmental Protection Agency (EPA) today issued a notice of violation to Fiat Chrysler (FCA) over alleged violations of the Clean Air Act for installing and failing to disclose engine management software that changed the emission results of their vehicles – just like several other automakers over the past year. Chrysler has been rumored to be unveiling an all-electric version of its plug-in hybrid Pacifica minivan at CES this week. As it turns out, the automaker is indeed unveiling an all-electric minivan, but not quite the Pacifica. 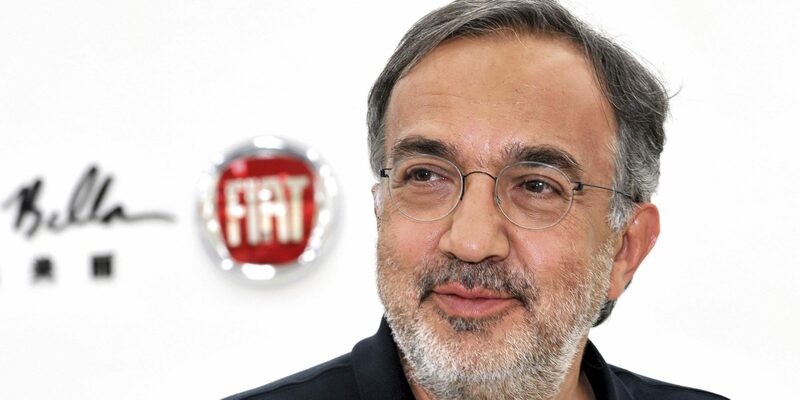 FCA’s outspoken CEO, Sergio Marchionne, has been known to make unpopular but frank comments about electric cars and the future of the auto industry. The man in charge of Alfa, Fiat, Chrysler and Jeep, called for its customers not to buy his electric car, the Fiat 500e, because he estimates the company is losing about $10,000 per units. Google today announced that it will open a self-driving car technology development center in Novi, Michigan, which is about 30 miles outside of Detroit. Google has had teams working from Detroit for the past few years, but this marks the company’s first physical presence in the area. Following a report this morning from Bloomberg suggesting that Google and Chrysler were about to announce a deal that would see Google’s self-driving technology being implemented in Chrysler’s upcoming new Pacifica minivan, the CEOs of both companies have now confirmed an agreement albeit not exactly what was being discussed earlier today.